If only there was something we could do that didn’t take much time each day and didn’t cost any money and almost magically removed much of the stress from life as it also brought more joy and equanimity and a better ability to manage temptations… Hey wait a minute – meditation can do all that! If you’re trying to control your urges to take drugs or drink alcohol, there are a number of very compelling reasons to add a session of meditation into your daily routine, and not very many valid reasons for not doing so. Not convinced? Here are 8 reasons why you should consider learning to meditate! This alone is reason enough for most of us to get started. 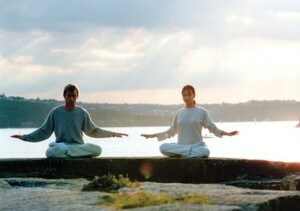 Meditation won’t do much to remove stressors from your life (your boss may still be a difficult person even after you meditate) but it will help you to respond to stressful events in your life without feeling as frantic on the inside – and since stress is a major cause of relapse, for those in recovery, eliminating any stress is a very good thing. Stressful life events can trigger your sympathetic nervous system into a ‘flight or fight’ response which causes an increased heart and respiration rate, a narrowing of the blood vessels and other physical changes – the body gets ready to run or fight in response to a threat. Meditation increases the activity of the sympathetic nervous system’s opposite, the parasympathetic nervous system. The parasympathetic nervous system controls bodily functions in moments free from danger or stress. Increasing the activity of the parasympathetic nervous system results in lowered respiration and pulse rate, improved blood flow and lower blood pressure, better digestive function and a better ability to handle stress without feeling your blood pressure rise. The behaviors of addiction are necessarily selfish, and this can wreak havoc on relationships with the people we care about most. Fortunately, with kindness and right actions you can rebuild most relationships, and meditation is a great way to improve your relationships with those you love as the practice transforms you into more generous, compassionate and empathetic person. The bad news for those of us who’ve drank more than our fair share over the years is that drinking alcohol has been implicated as something that shortens the length of telomeres, which are the protective caps situated at the end of chromosomes. Shortening telomeres are thought to influence the cellular aging process so anything you do to make your telomeres shorter increases the rate at which you age. For thousands of years Buddhist monks, Hindu Yogis, Christian mystics and people from a thousand other spiritual traditions have used meditation as a way to connect with the divine and enhance a personal spiritual understanding. Whatever your religion or spiritual take on the world, meditation can probably help you too become more connected to the powers, joys and mysteries of life. And whether you’re still drinking or using, trying to stop or on an ongoing journey of recovery, building a personally relevant spirituality is a very useful thing to do. MRI scans show what meditation enthusiasts preach to anyone who’ll listen, meditation brings more joy into your life, and it’s pretty hard to argue against more happiness in life, right? Laboratory for Affective Neuroscience: Alterations in Brain and Immune Function Produced by Mindfulness Meditation.